All it takes is some chopping and one skillet! 1) Spray coconut oil onto a skillet. 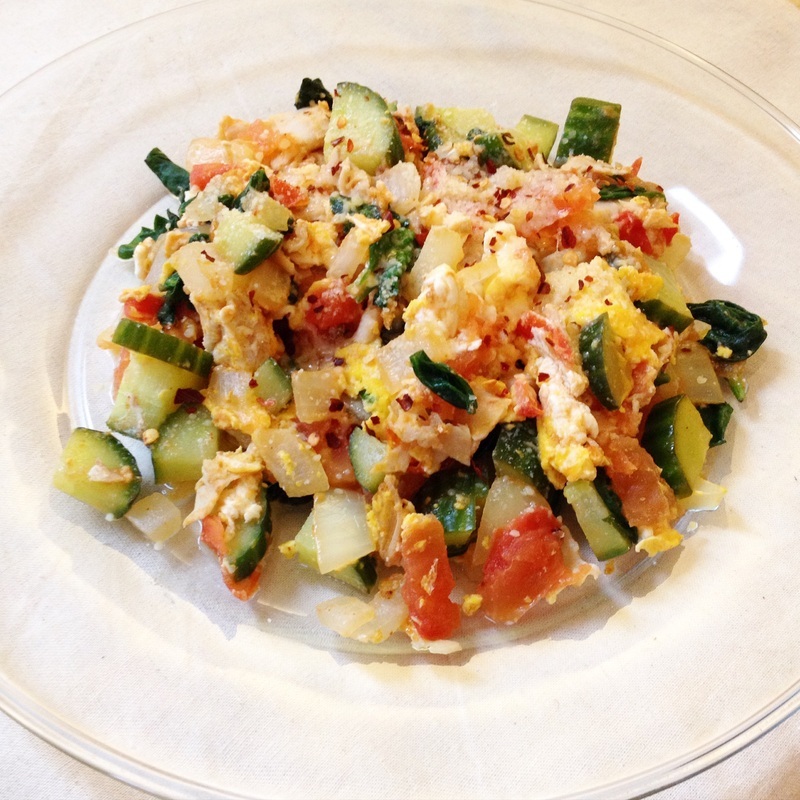 2) Toss in onions and cook for about 30 seconds before tossing in the tomato, cucumber and spinach. 3) Stir around for about another 45 seconds before adding the turkey and salt to taste. 4) Crack open one egg over the mixture and continue stirring until the egg is cooked through. 5) Optional: top with red chili pepper flakes & Parmesan cheese!